An Emera Maine truck in front of one of its operations centers in Maine. The utility's parent said it has an agreement to sell Emera Maine. Emera Maine, the utility that distributes power to more than 150,000 customers across eastern and northern Maine, is being sold to a western Canadian firm in a deal valued at more than $1 billion. Emera Inc., which is based in Nova Scotia, said Monday that it had reached an agreement to sell its Maine subsidiary for $959 million to ENMAX Corp. of Calgary. Given Emera’s debts, the deal will have an estimated value of $1.3 billion, the two companies said. It’s part of a three-year business plan by Emera Inc., Emera Maine’s parent company, that also includes the previously announced sale of three gas-fired generation plants in New England, including one in Rumford. ENMAX is a utility that employs 1,800 people and generates and distributes electricity and other services to more than 900,000 customers in Alberta, Canada, according to its website. It has about $6 billion in assets, said Gianna Manes, president and CEO of ENMAX. 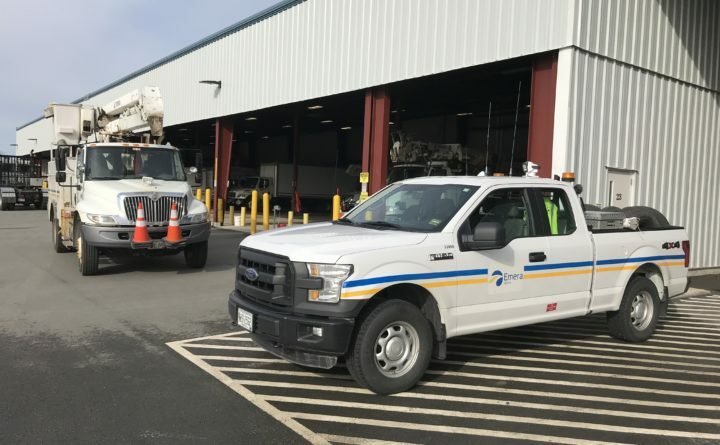 At a news conference in Emera Maine’s operations center in Hampden on Monday, representatives from both Emera and ENMAX Corp. said they do not expect the sale to affect electric rates in Maine or the number of people who work for Emera Maine. The Maine utility employs just over 400 people across a service territory of 10,400 square miles. However, Emera Maine did inform customers at the start of March that it is seeking approval from Maine regulators to raise its distribution rate, one of five rates on a customer’s electric bill. That request, which is still moving forward despite the announced sale, could result in a $5.75 monthly increase for a customer using an average of 500 kilowatt hours of electricity, Michael Herrin, Emera Maine’s president and chief operating officer, said at the news conference. Officials from Emera and ENMAX said the sale could take nine months. It will require the approval of several regulators in both the U.S. and Canada, including the Maine Public Utilities Commission and the Federal Energy Regulatory Commission. Scott Balfour, the president and CEO of Emera Inc., said Monday that the Nova Scotia company first reached out to an investment banker several months ago to seek assistance in finding buyers for the Maine utility. Emera and ENMAX have been negotiating the sale over the last few days and came to an agreement late Sunday night, he said. Emera has said in recent financial releases that it plans to sell assets that were not performing well. Emera on Nov. 26 announced it would sell its three natural gas-fired generation plants in New England, including Rumford Power, to an affiliate of The Carlyle Group, an asset management company. At that time it did not say what it would do with Emera Maine. On Monday, Manes said that the ENMAX is focused on growing and that it is buying Emera Maine because it’s a good fit with the Alberta company’s portfolio. But she didn’t specifically answer whether it is looking to buy other U.S. companies. She also said that name Emera Maine will eventually change, but did not specify what the future name will be. Correction: An earlier version of this report incorrectly stated that ENMAX is a publicly traded company.